Patience and calm . 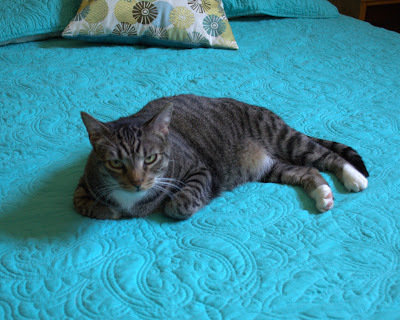 . .
She's as calm and happy as I'd like to be, but we are truly scrambling to get our junk out of the old house. We had so much stuff. It's insane. And, our "renter" (from whom we have yet to get a signature on a contract) has already moved furniture into our den and changed his address. We have to be out by Sunday. That's assuming he signs something, otherwise I'm confiscating husband's key and refusing to let anyone in. Wish me luck. This is so weird. Point being, I am running back and forth between houses and don't have time to write reviews or even twaddle, at the moment. I'll have two days off the moving for Tropical Storm Isaac (probably) but I can't say whether or not I'll have power. These storms do tend to knock out the power. So, I'll be back soon and when I do, there should be a mild avalanche of posts. At the very least, I should be totally done moving by Monday. Your patience is appreciated! Happy reading! 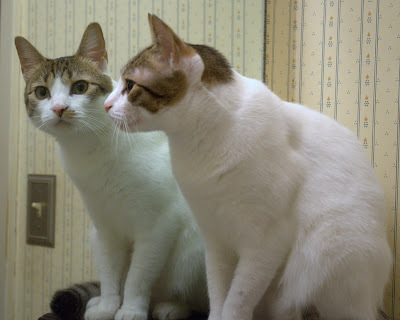 Isabel very politely posed in front of the mirror, for me. I love "twin" kitty photos! We have finally started spending the night at the new house. Yay! We have internet service there. Woot! 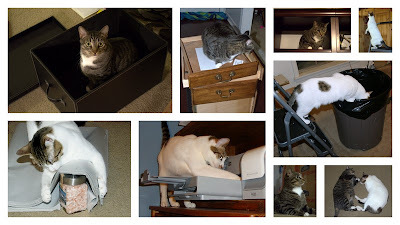 My laptop is a piece of junk so it's nearly impossible to post from the new house (I'm in the old one, at the moment). Boo! Hopefully, we'll have the desktop moved over within the next couple of days. 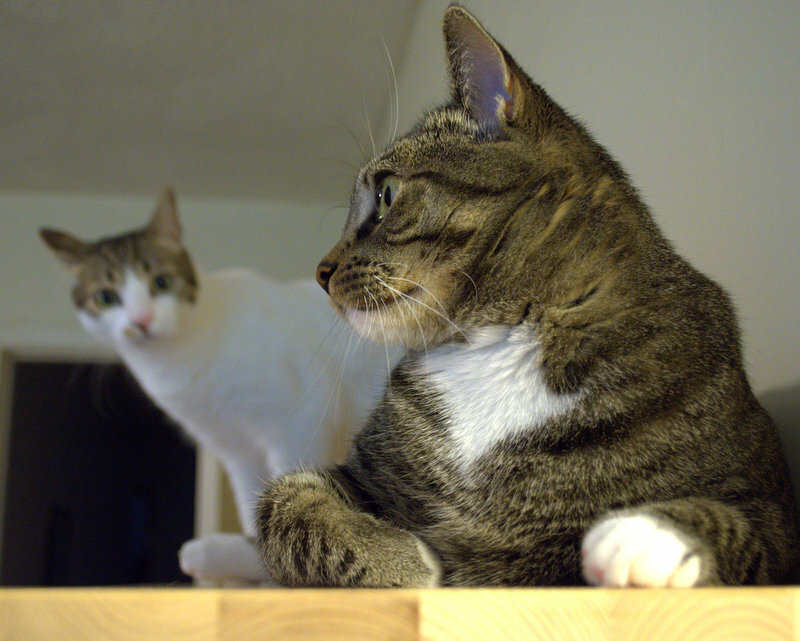 We're moving the kitties to the new house tonight! Wahoo! If I can find the time, I'll bang out some mini reviews, this week. But, we may have a hurricane shutting us down. Ack! Then again, you never know which way those storms will turn. So, we might very well be just fine. Squeee! We had coffee on our new patio, this morning. Too awesome for words! The second round of medical tests all came back *negative* for the nasty auto-immune disease!! Wahoo! I will still go to a specialist and pepper him with questions, but judging from my research, the pain and joint swelling I've been experiencing are probably diet-related, as in food allergies. Gluten is highest on the suspect list. I've gone gluten-free, this week, and have a massive amount of energy, all of a sudden. We'll stay gluten-free and pure. Let's face it; we probably should have done this years ago. Our diet improved when I began going to the gym and I did manage to lose 25 pounds in the past year, but apparently that just wasn't enough. Onward! I haven't finished any books in the past week! But, I'm on the verge . . . hopefully, tonight. Since this is a book blog, it seems only right to toss in a book pic. 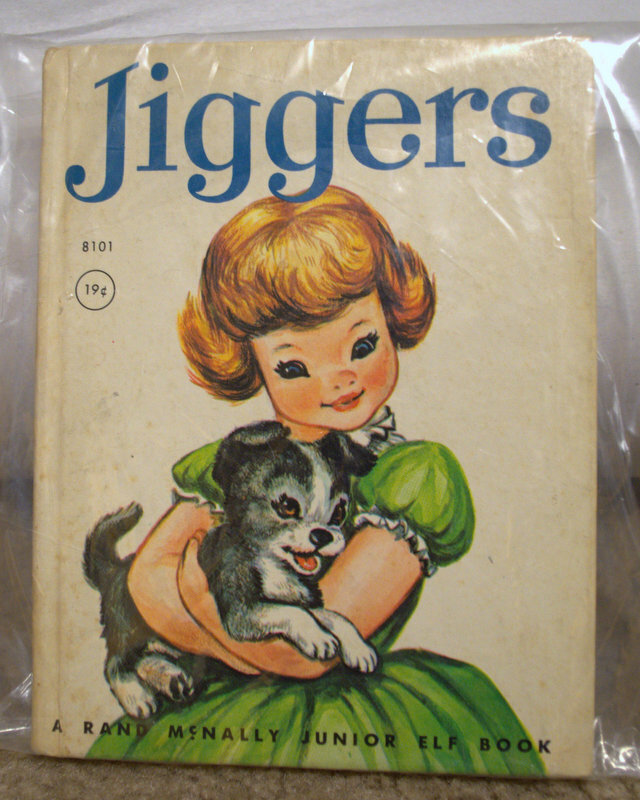 Jiggers is the story of a dog who becomes lost during a blizzard. I think. I haven't read it in a few years. Note that I keep my copy in a plastic bag. 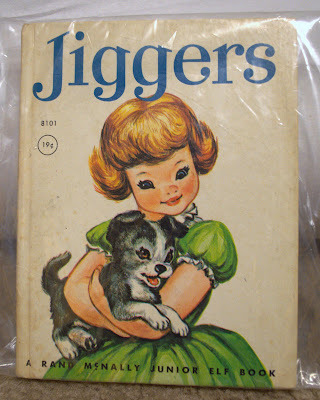 This is not the copy I had as a toddler. When I realized I didn't have my childhood copy, I became a bit obsessed with finding one and eventually located it on eBay at a reasonable price. Do you remember the first book you fell in love with? I haven't updated our progress on the house in a while, primarily because I haven't been making any. I've been diagnosed with an auto-immune disease but am still in the preliminary testing stages and am obviously hoping the diagnosis is wrong. However, I've had enough trouble functioning that it's been all up to the man of the house to get nearly everything accomplished. In the photo below, I had to cover up the half-dressed person painting above our built-in entertainment center because he is Strongly Against having his photo uploaded to the internet. 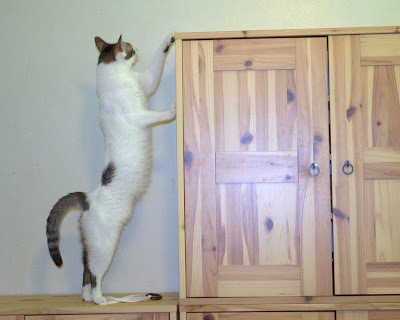 I left the hand with the paintbrush, though, so you can see he was hard at work. The Stars Shine Bright by Sibella Giorello. I'm enjoying both. I love Sibella Giorello's mystery series. It's very unusual for me to like a series so much that I find it unbearable to pass up a new release but I can't bear to miss a book by Giorello. Miss Buncle's Book sounded like an upbeat form of entertainment. I'm finding that it is; I just haven't been able to stay awake very long during my normal reading time. The White Forest sounds like a perfect, atmospheric and creepy read for fall. 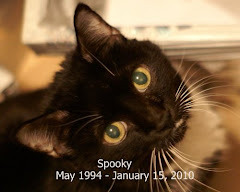 I don't know whether I'll join in on the RIP Challenge or if it will even continue in 2012 (spooky reads) but Carl's challenge has become so ingrained that I tend to look for ghostly, paranormal, mysterious reads to begin curling up with in September even when I don't join in. 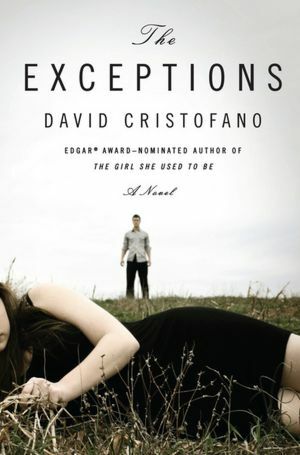 The Exceptions by David Cristofano apparently continues the story from The Girl She Used to Be, which I thought was quite nearly a perfect book, stylistically, although a bit disturbing. 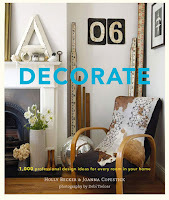 I bought Decorate by Holly Becker and Joanna Copestick because I like Undecorate so much. They're actually not companions (not the same publisher, near as I can tell) but they look like they belong together and I need inspiration. Bob Tarte, author of Kitty Cornered (whose wonderful book Enslaved by Ducks currently costs only $1.99 for Kindle) posted info about Circling the Waggins on Facebook and I commented that I'd be adding it to my wishlist. Bob apparently told the author that I write book reviews and she contacted me. I seldom accept books directly from authors but I trust Bob and his circle of friends. Ariel Wulff sent me both of her published books rather than just the new one. Miss Buncle's Book is also published by Persephone Books. Cool. 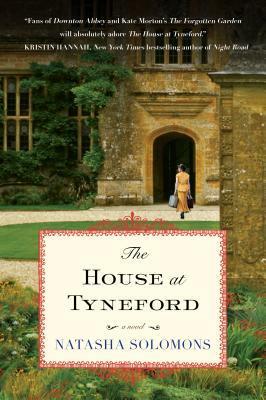 My copy is from Sourcebooks and I do love the Sourcebooks cover. I have three books I need to review. Soon, I hope. Soon, soon. The Sandcastle Girls is a dual tale of romance, betrayal and genocide in 1915, paired with the story of a modern woman uncovering her grandparents' past. It's told partly from the viewpoint of an American/Armenian couple and partly by their granddaughter, who serves as the fictional narrator describing her own story about her childhood and research to uncover her grandparents' experience in Aleppo, Syria in 1915. I knew absolutely nothing about the Armenian Genocide of 1915 and that genocide is so deeply described that it's almost a character in and of itself. The truth about the genocide is not widely known (although I hope The Sandcastle Girls will help change that) and at least one country doesn't even acknowledge that it occurred; this I learned from the book and the extra materials I read near the beginning, when I was confused about who was killing whom, where and why. A little online research helped me to get into the story. The main characters are an American woman who has gone to Aleppo with some minor training in nursing and an Armenian engineer who managed to escape slaughter but lost his wife and daughter. What did they experience and why did they remain tight-lipped about those years? Because their granddaughter is the narrator but the story switches from her viewpoint in 1st person to a 3rd person omniscient account, it is actually a little jumpy and can be confusing. The jumps in viewpoint and time period, although not the smoothest, didn't completely ruin the story for me, though. The addition of the granddaughter's emotions definitely added some impact. When she cried, I cried. Recommended with a graphic violence and disturbing-situations warning. An emotional read, at once gripping, horrifying and romantic with three-dimensional characters, believable dialogue, and a unique setting. Be advised that even with the underlying romantic theme, The Sandcastle Girls is a tale of graphic violence and intensity. The images will stick with you. I got my copy of The Sandcastle Girls from Goodreads for review (my first "win" from Goodreads! ), so I promptly posted my review and then altered it a bit for the blog. After writing my own review, I read a few reviews at Goodreads because I was curious what others thought. There was a 2-star review that I thought was particularly interesting and well-written. Even though I rated it 4/5, I agree with the reviewer that the alternating viewpoints were jarring. She also brought up the lack of maps. Since I looked up maps and information early in my reading of the book, I'd actually completely forgotten about how desperately I needed them. I had no understanding of the Ottoman Empire and where the events occurred. Going into the book, I really was completely confused. Maps and a bit more background info up front would definitely have helped. I set the book aside until I could make sense of the setting. But, it's not unusual for me to stop reading to look up additional information to round out the reading of a novel in a new-to-me historical setting. Fiona Friday pic - Fiona thanks us for providing an additional place to scratch; Isabel finds the dolly simply smells interesting. They are still totally into everything, here. 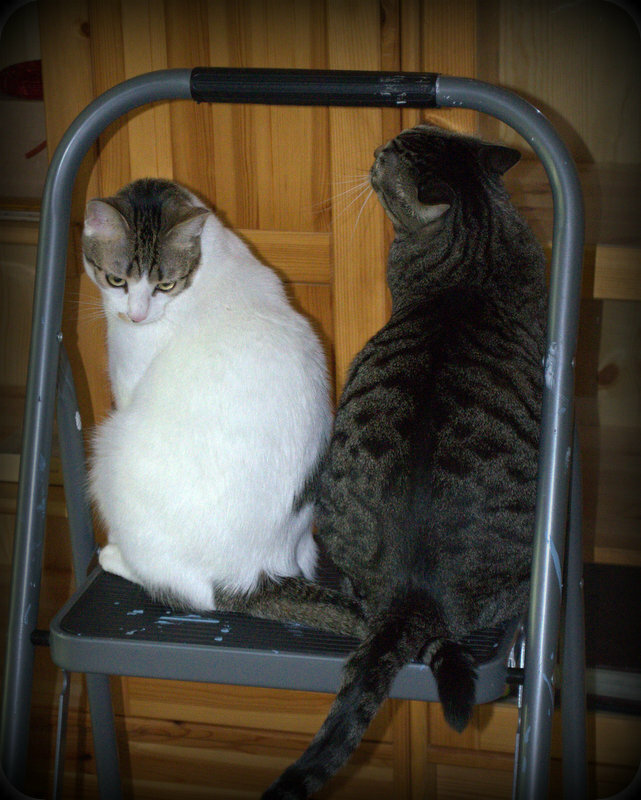 The packing has slowed due to illness and I think the cats appreciate it. They don't like a lot of frantic activity. 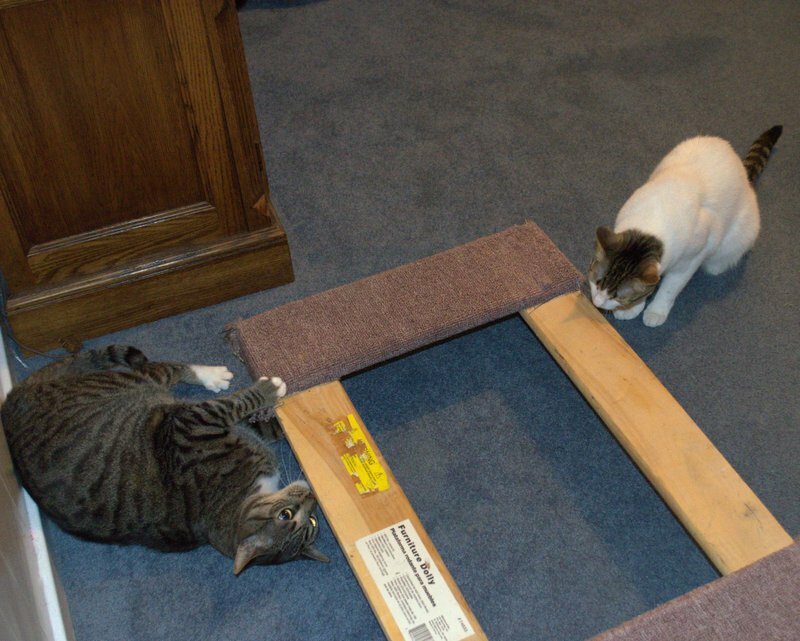 They like a little playtime, a little nap time, a little food. Anything else is just annoying. I'm probably very unusual as readers of The Prisoner of Heaven go, since I've yet to read the first two novels in the series, The Angel's Game and The Shadow of the Wind. I think I was a little intimidated by them, perhaps because I'd heard they were confusing. The Prisoner of Heaven stands alone fine, thank goodness. In The Prisoner of Heaven, the year is 1957. 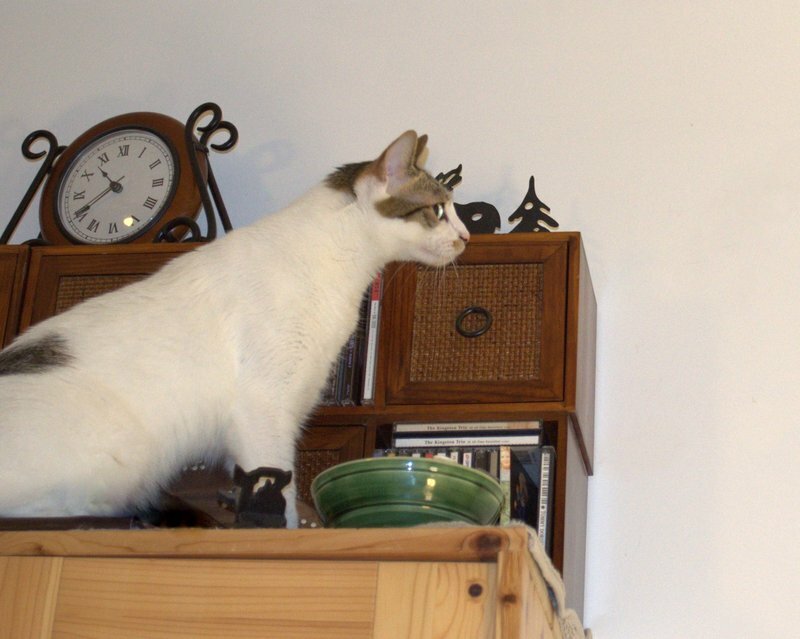 Daniel Sempere is looking forward to his friend Fermin's wedding but Fermin has lost weight and seems unusually jumpy. When a stranger shows up and buys a very expensive copy of The Count of Monte Cristo then inscribes it with a mysterious note to Fermin, Daniel is curious enough to follow him. What does the stranger want and why is Fermin not himself? The answers lie, for the most part, in Fermin's complicated past and horrific experience as a prisoner in Montjuic Castle in Barcelona. Having missed out on the first two books, there were occasionally little hints that I needed to go back to the beginning of the series to get to know the characters, the Sempere & Sons book shop in Barcelona and their history in the previous books; however, I really did feel like the story was complete, apart from the obvious hint that there was more to resolve in a fourth book. The Cemetery of Forgotten Books played a lesser role than I expected it to, and was a bit mystifying when the characters finally arrived there. 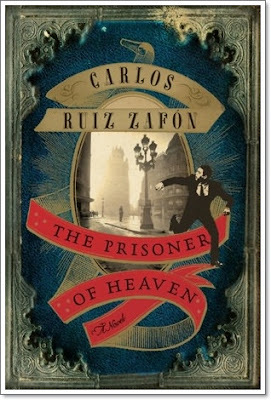 I found The Prisoner of Heaven quite breezy and hard to put down but in some minor ways a very tiny bit unsatisfying. It's clear that the series will continue. However, it was a book that I felt immediately drawn into and I remained happily immersed in the story, throughout. Because I haven't read the first two books, I can't say how The Prisoner of Heaven fits within the series and whether or not the tone remains the same, but I enjoyed the story so much that even when some little portion was wrapped up in a disappointing way, it didn't matter. I enjoyed the experience enough that I closed the book eager to find a copy of The Angel's Game and work my way forward. Recommended - A surprisingly light book with several mysterious strands that stands alone well but leaves enough unsaid to make at least this reader desire to begin at the beginning. I didn't write much about any of them, but I liked every single one. Absolute favorites were A Town Like Alice, The Unlikely Pilgrimage of Harold Fry, Johnson's Life of London and The Knights of Derbyshire. Links lead to my reviews, such as they are. Some are a mere paragraph. Moving did get in the way of reading, a bit, but I'm extremely happy to have read 9 books. Book time served as my escape when I had time to rest a bit and it helped me recharge for the next round of packing, painting or cleaning. I'm going to start cranking out those reviews, ASAP. Don't want to fall so far behind that I start forgetting what they were about. I've received enough books to make the husband lift his eyebrows in the past few weeks . But, I've also donated 2 bags of books, have swapped a few and have 6 more full bags lined up by the front door (this is a combination of justification and "thank goodness because books are heavy things to move"). I neglected to mention at least one week's arrivals, so brace yourself. Rock Solid Faith Study Bible in NIV, "for teens" came from Zondervan, for review. Rock Solid Faith Study Bible - because I love study Bibles and am always interested in the extra info, which doesn't necessarily agree from one edition to another. Undecorate and Paris in Color (<---that one's Bellezza's fault) - because I need inspiration for dressing up the new house and a bit of an eyeball feast -- I really love design books. I don't want the interior of my new home to just look like "Same old stuff; new space". The Stars Shine Bright - Love this mystery series and can't bear to miss a release. The Mirrored World - I confess I requested the title because I loved her first book so much. I didn't even bother reading the description. Everything Ravaged, Everything Burned - was on my wish list along with several other books, all of which were short-listed for the Franklin O'Connor Award the year Simon Van Booy won (2009). I found this one at Off-Square Books in Oxford, MS, last week. Oh, did I forget to tell you Kiddo and I drove to Oxford to wrap up some last-minute details before his big move? I was also sick with a summer cold, all week. 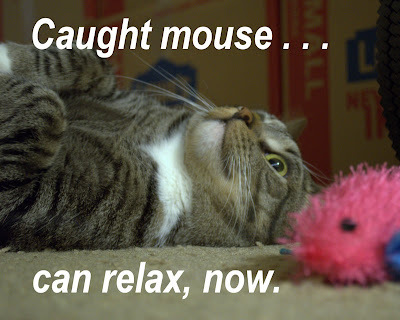 It's lingering a bit, hence the lack of a Monday Malarkey or Tuesday Twaddle post. Have you noticed Goodreads changed the "To Be Read" shelf to "Want to Read"? What do you think? My opinion can be summed up in one syllable: eck. 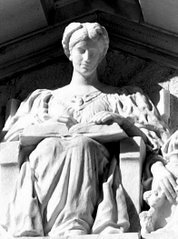 "To Be Read" and "Want to Read" are two completely different concepts, in my humble opinion. If it's a TBR book, that means I already own a copy or am planning to chase one down as soon as possible. "Want to Read" is more a more wishy-washy kind of thing, in my mind. To me, it means I'm interested in a book but don't own it -- and who knows if I'll end up with a copy. I wish they'd just added a separate shelf instead of ditching "To Be Read". Authorities in Nome say it would be better for dog owners to fence their yards than rely on firepower now that large numbers of dog-hating musk oxen have taken up residence in and around the Western Alaska City. I don't know why; that just made me laugh. Isabel took advantage of the new space on Grandpa's shelf, after I emptied it of books. What I didn't manage to photograph, this week: Izzy snacking on carrot cake crumbs. Seriously, Isabel will eat absolutely anything. It's kind of disturbing. Room #2 is done! Un-greened and . . . well, I'm not sure my choice of bedspread works very well with the rug we bought, but it'll do, for now. The TBRs have moved into our new bedroom! Wahoo! We've moved on to un-yellowing the living area, now. We are getting to the crunch point on this moving business. 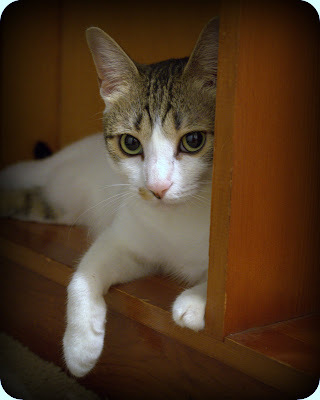 Husband wants us out of the old house by the first of September because a friend is going through a divorce and tired of staying at a hotel; husband wants to rent our old home to him. I'm not sure how I feel about that. I want to get out of the old house as soon as possible but it's a bear of a job. We've been in this house for a long, long time. Anyhow, if I disappear for a time, it's because we're rushing to finish the move. At this point, I barely have time to sit and take a break from packing, moving, cleaning, painting and lining shelves. I have, however, managed to finish a few books in the past 2 weeks. 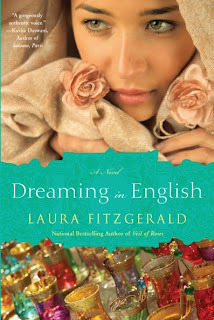 Dreaming in English by Laura Fitzgerald is the sequel to Veil of Roses and stands alone fine but it's probably a lot more fun to read the two books in order because Dreaming in English does give away the entire plot of Veil of Roses. In Veil of Roses, which I have not read, Tamila Soroush left her home in Iran and moved to the United States, joining the sister who had already moved to the U.S. and married. Her objective was husband-hunting so that she could leave Iran permanently. If you plan to read Veil of Roses, the rest of this review will be a spoiler!! At the end of Veil of Roses, the man Tami was on the verge of marrying asked her to make some unacceptable promises. Knowing she couldn't give in to his demands, she booked a flight home. But, the man she'd really fallen in love with swooped in and they married in Las Vegas. In Dreaming in English, Tami and Ike begin their marriage rather badly, with a visit to his parents, who are dead-set against the marriage and think Tami is trying to use Ike to stay in the U.S. The newlyweds are determined to make their marriage work, though. They move into the cottage of a friend of Tami's and Tami gets a job working for her brother-in-law. Meanwhile, Ike assumes he'll have to give up his dream of owning a coffee shop when his father refuses to give him the promised funds. The marriage is the obstacle. Tami knows Ike will never be content if he has to leave his dream behind, so she sets out to help make it happen. But, when Ike's old girlfriend returns to the country from Europe, Tami makes a huge mistake that may cause Ike to give up on Tami for good. Dreaming in English is a nice, light, romantic read that genuinely surprised me. I figured it would be a little on the chick-littish side but there are constant challenges and the pages simply flew. Recommended when you're looking for a breezy read that isn't pure fluff -- just quick reading. Even though the first book has been spoiled by the reading of Dreaming in English, I liked it enough that I'd still happily read Veil of Roses, even knowing what's going to happen. 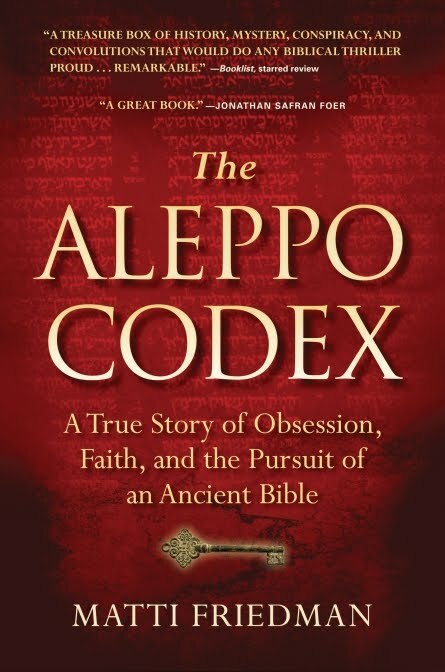 The Aleppo Codex by Matti Friedman is nonfiction, the true story of the author's quest to uncover what happened to the thousand-year-old Bible also known as the "Crown of Aleppo", which was kept safely hidden in Syria until the United Nations agreement after WWII that led to riots and the eventual end of the Jewish presence in Aleppo. How did the Codex travel from Aleppo, Syria to its current home in Jerusalem, Israel? Who brought the book to Israel and when did a large portion of the Codex disappear? Where did the missing pages go? Because everyone was tight-lipped about all of the above questions, the author had to really dig to find the truth. And, the story of his investigation is absolutely fascinating. I was very impressed with Friedman's journalistic efforts and how he managed to put together the pieces of the puzzle. The story of the Codex's journey and how the pages disappeared is engrossing. 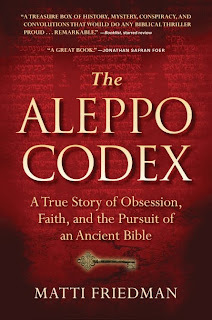 I highly recommend The Aleppo Codex to those who enjoy nonfiction, particularly history. I've also finished reading The Prisoner of Heaven by Carlos Ruiz Zafon, but I'll save that for another day. I don't want this post to go on forever. If I can, I'll sneak in a mini review of The Prisoner of Heaven, in a couple days. If not, see you on Fiona Friday! 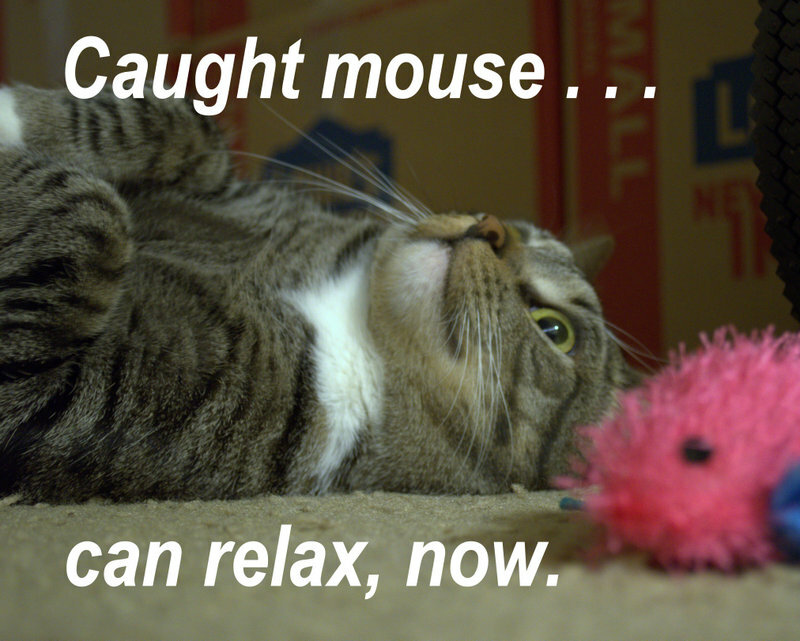 Both cats got this same look. 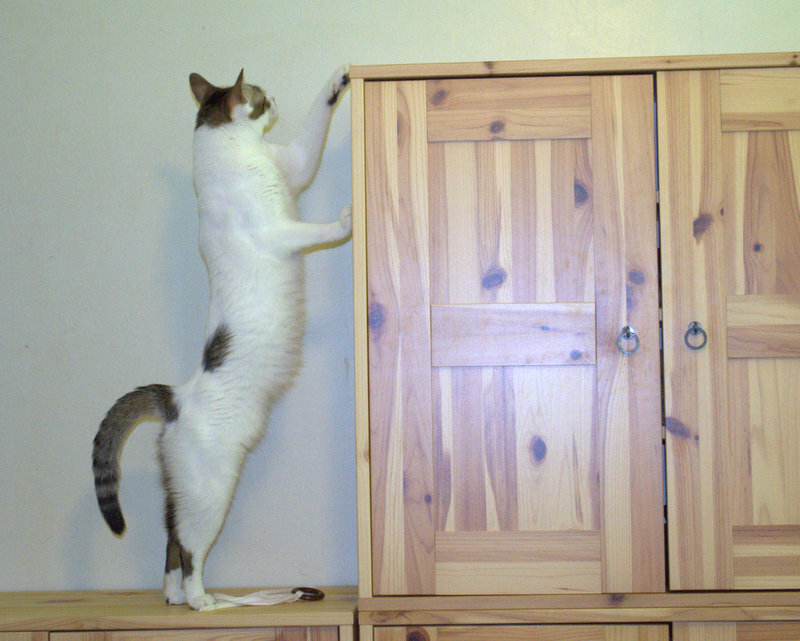 They knew the cabinet was there and were totally baffled by its absence. But, they didn't think about it for long. Of course, if one nice climbing spot disappears, you have no choice but to look for alternatives. Sometimes your sister finds the good spot, first.